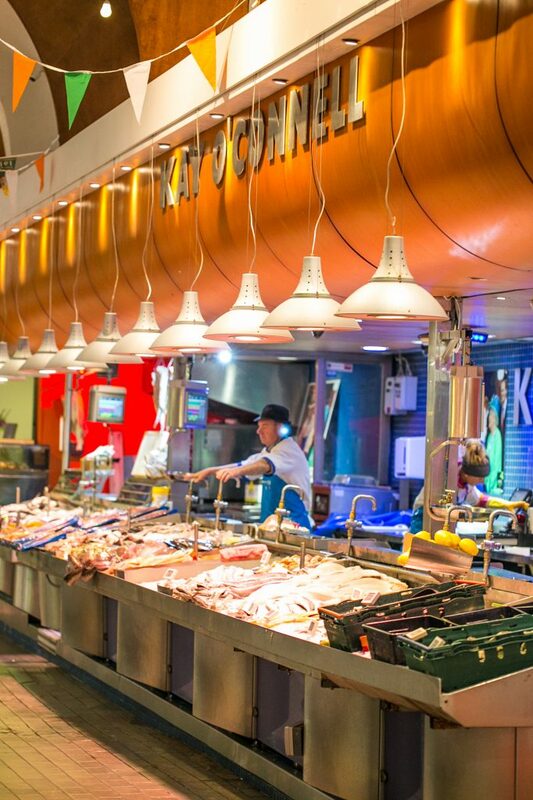 The English Market in Cork, Ireland is a foodie heaven – a covered market filled to the brim with fresh fruits, vegetables, meat and seafood – as well as tons of teas, spices, trinkets, cheese and breads – if you want to eat it, you can find it in the English Market! 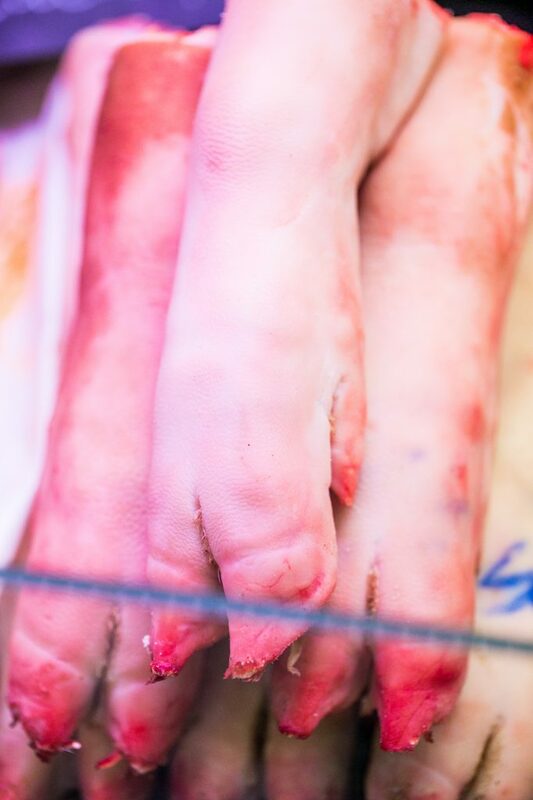 Pigs feet, impeccably lined up and displayed alongside a neatly folded curtain of tripe and trays of aged beef, juicy pork chops, and neat little sausages. 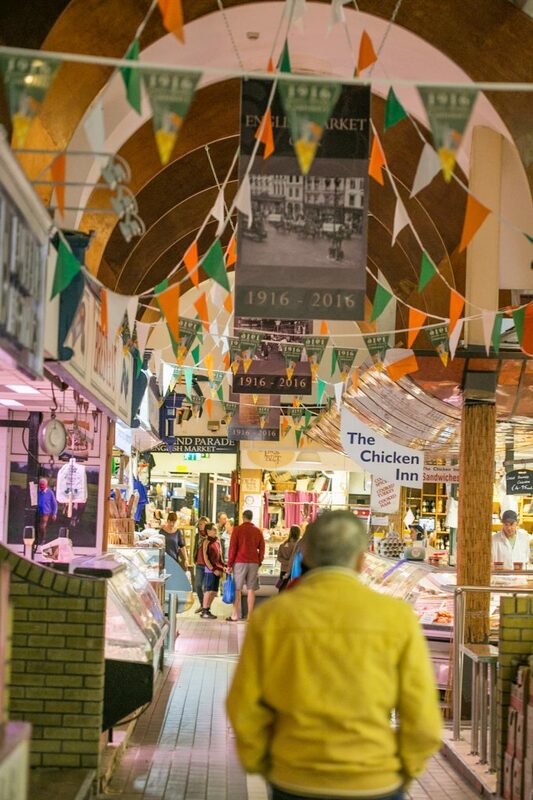 The second you walk through the somewhat unassuming English Market sign in Cork, which looks like any other arcade you’d see in any British colonial (or post-colonial) city, you’re greeted with the whole of Ireland’s agricultural heritage. When planning our trip through Ireland this summer with my family, I was tasked with finding things to do while touring the country. Visiting Cork was one of the highlights of our trip – it is the town my grandmother’s family is from, and the one city in Ireland I didn’t really get to tour previously when I had been to Ireland previously. 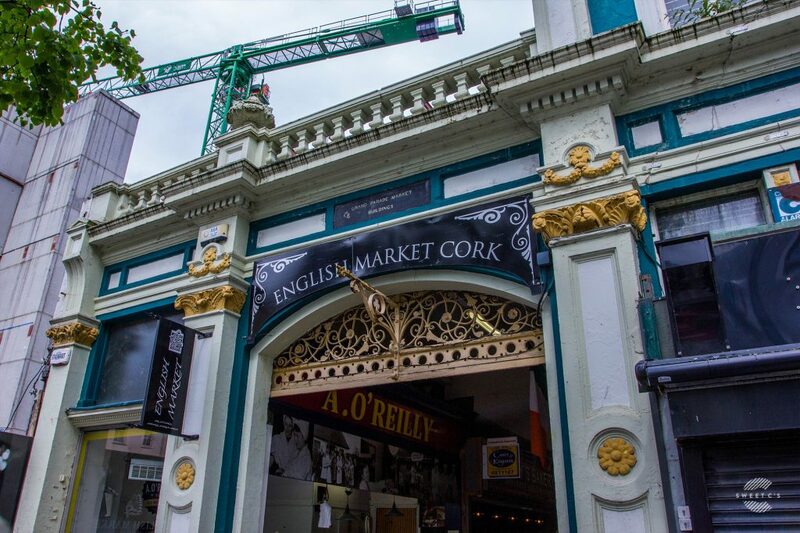 As I was planning our adventures through County Cork and Cork city, one stop was a major priority – the English Market. My family is just as food-obsessed as I am. 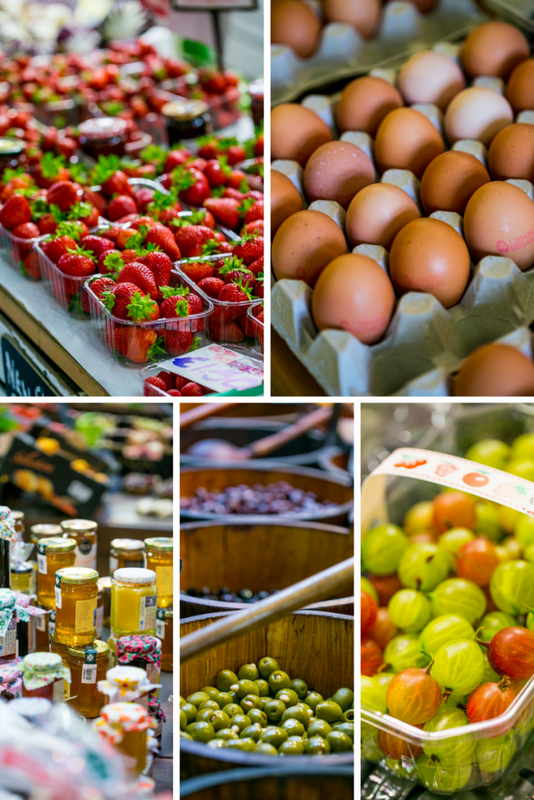 Not just eating food (which is sort of the whole point, natch) – but we all enjoy strolling through markets and seeing what foods are on offer, especially in different cities we visit. 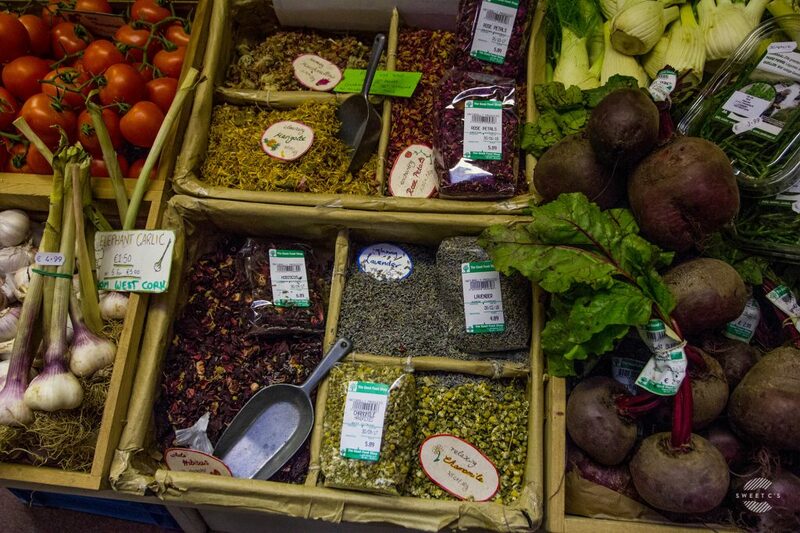 When I am traveling, one of the first places I always like to go is to a market – I feel like you learn so much about people by just visiting their markets and trying out their food. 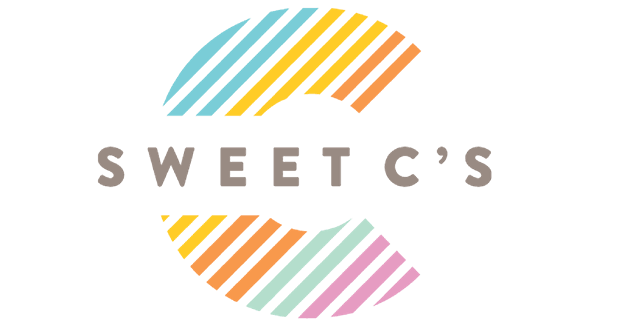 And with that belief, let me tell you: people in Ireland’s southern counties are anything but boring as you might believe from antiquated notions of Irish cuisine. 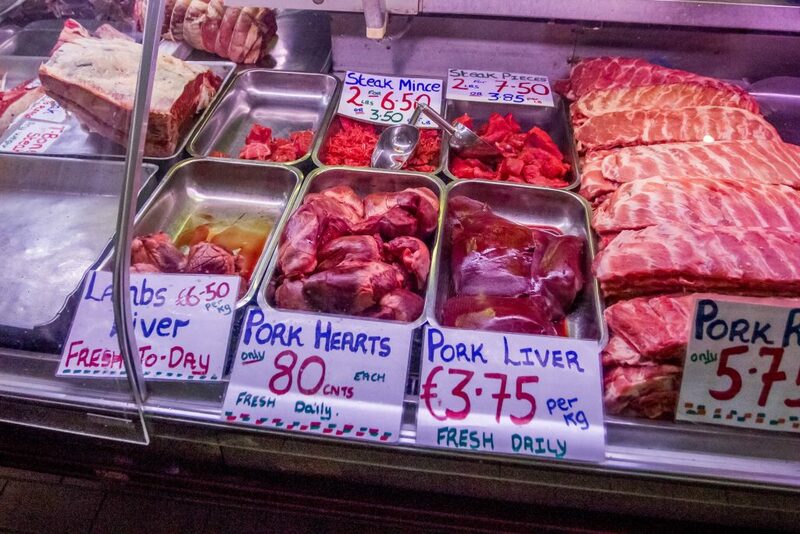 There are, of course, those bits and baubles we Americans aren’t so used to (the aforementioned pigs feet, liver, hearts, and stomach) prominently displayed – a nice reminder of Ireland’s traditional stews and hearty country dishes that leave little of the animal to waste. 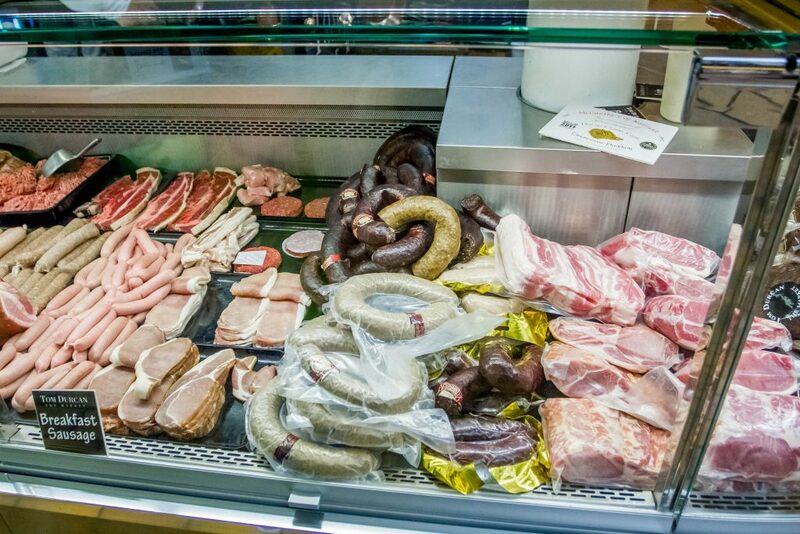 With offal becoming once again trendy in the foodie world, it’s easy to see why the English Market is still a prime destination in southern Ireland. The English Market is a fantastic spot to sit, sip coffee, and watch people bustle throughout – you’ll find a pleasant mix of busy mums and grandmothers scurrying to get the night’s dinner, employees from local businesses popping in for a quick deli lunch, and throngs of food-loving tourists scanning the aisles for unique gifts and trinkets. Roughty Foodie had tons of beautiful teas, jams, preserves, and spreads – as well as delicious fresh fruit, cheeses, and drinks. I could have spent hours just at their stall! 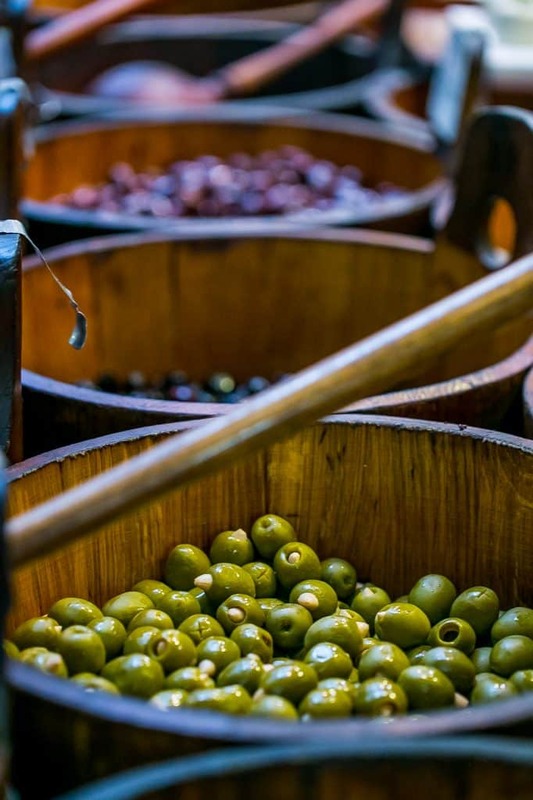 The Real Olive Company had a gorgeous display of olives and tons of delicious antipasti fixings. 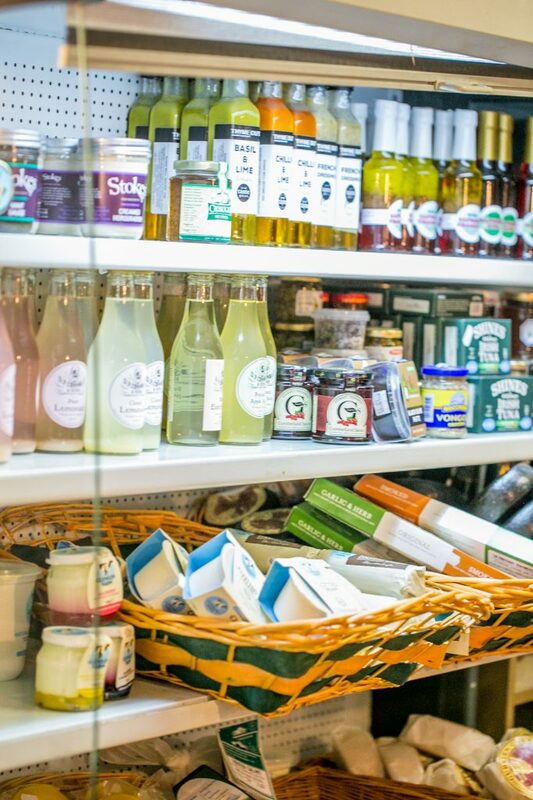 On The Pigs Back has delicious farmhouse cheeses – and fabulous prices. 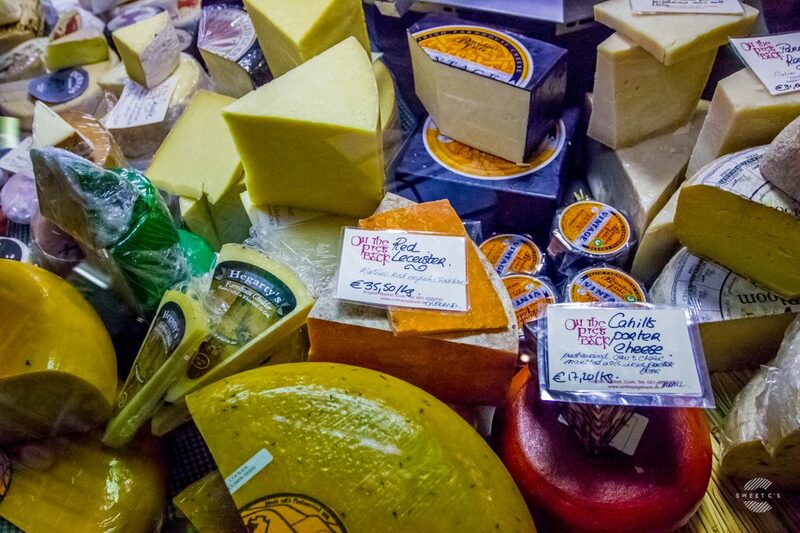 I am ready to move to Ireland for the cheese selection alone! 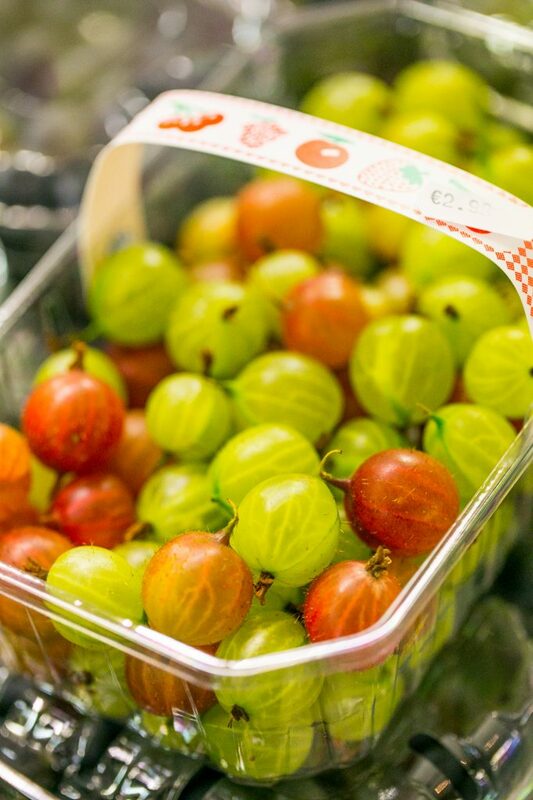 We stayed at the River Lee Hotel, so we didn’t have a kitchen, which was slightly regrettable with all of these delicious fresh foods – but the location was fabulous to be able to have just a short walk to the market. 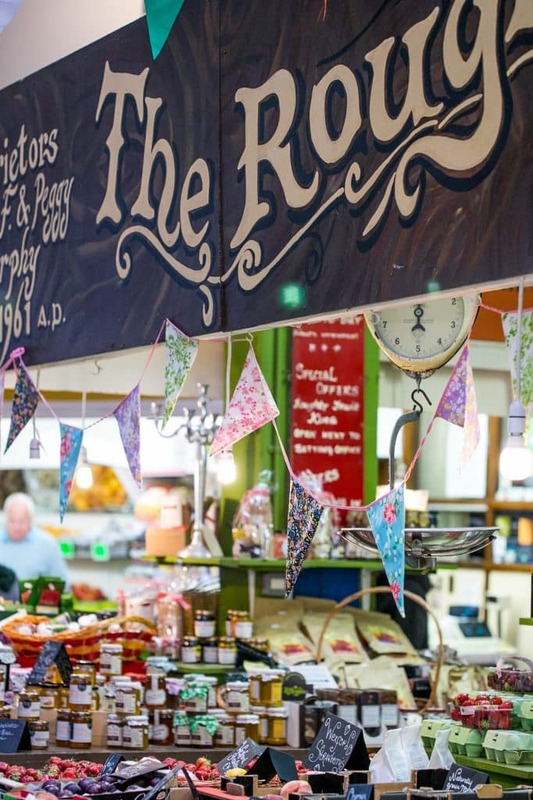 Next time in Cork, I want to rent a home and just cook my way through all of the food at the English Market! 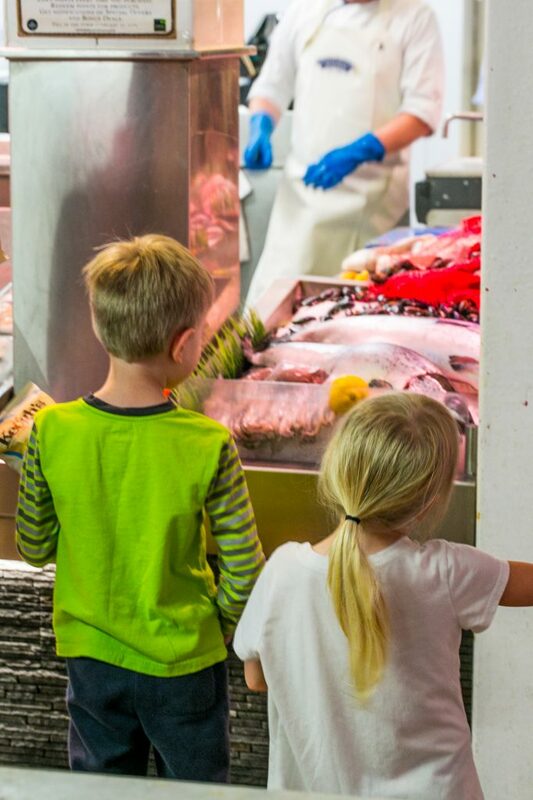 Even my kids loved checking out all the delicious foods throughout the hall. It is a fantastic way to spend an afternoon! 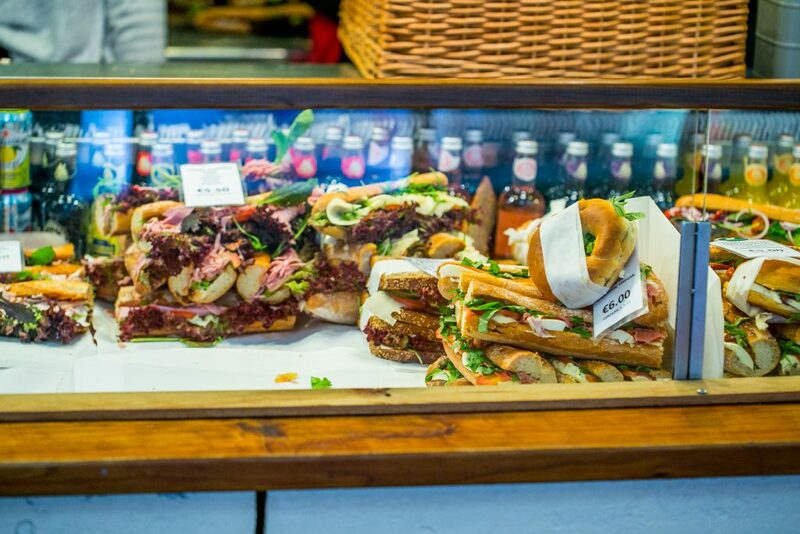 Food stalls – find the full lineup here. Walk the River Lee from the English Market down to the Fin Barre Cathedral, and back to the River Lee Hotel for a great afternoon full of beautiful buildings, past unique and colorful street art, and by interesting shops like the Time Traveler Bookshop for rare antique books. Farmgate, second floor. 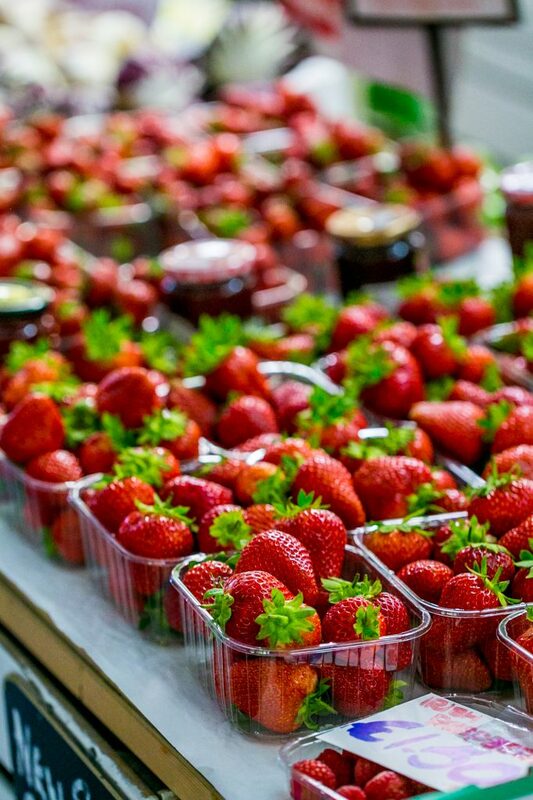 Breakfast, coffee and lunch – farm to table style comfort foods and a great view of the market’s happenings below. I loved the “no phones” signs everywhere – it was nice to dine without people chattering away. The River Lee Hotel. We loved our spacious rooms, the great location, and the upscale decor. Flying to Ireland and want a great deal? 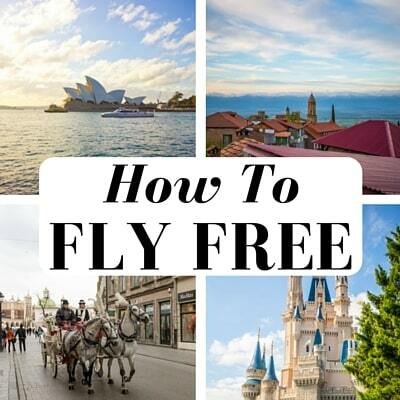 Use my method to FLY COMPLETELY FREE!
! It can get you the most out of your point awards!